Suggest that your kid choose a grey waistcoat and beige shorts to help him look like a true little gent. 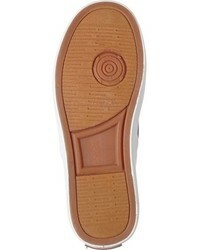 Ralph Lauren boys waylon sneaker are a savvy choice to complete this style. Suggest that your darling choose a tan jacket and grey trousers for a trendy and easy going look. 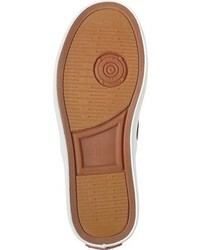 As far as footwear is concerned, let your boy opt for a pair of Ralph Lauren boys waylon sneaker. 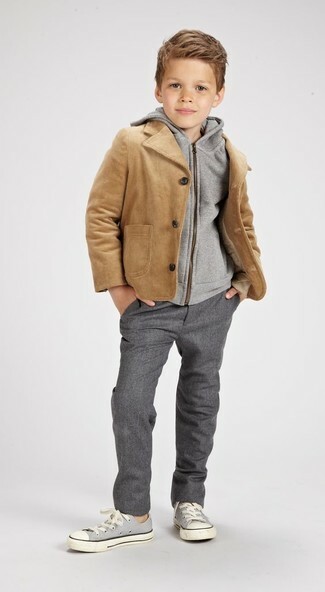 Go for a brown jacket and blue jeans for your little man for a laid-back yet fashion-forward outfit. This outfit is complemented brilliantly with Ralph Lauren boys waylon sneaker. Suggest that your tot reach for a navy horizontal striped sweater and tan trousers for a dapper casual get-up. Complete this style with Ralph Lauren boys waylon sneaker. 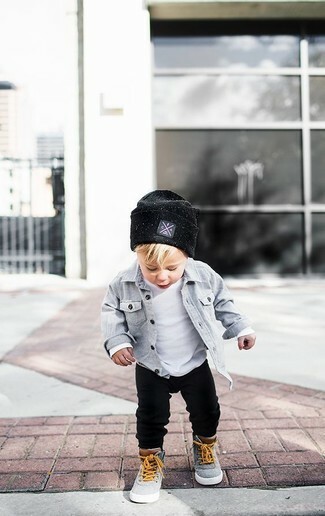 Suggest that your little one wear a grey long sleeve shirt with black sweatpants for a comfortable outfit that's also put together nicely. Grey sneakers are a smart choice to finish off this look. 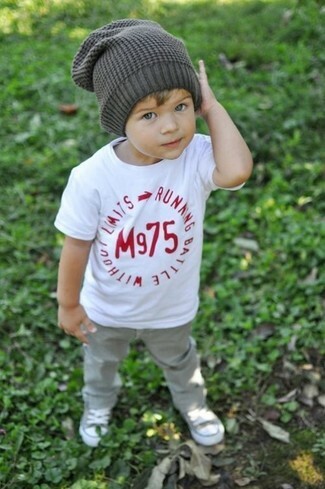 Dress your little one in a white t-shirt and grey jeans for a comfy outfit. Ralph Lauren boys waylon sneaker are a nice choice to finish off this getup. A mint sweater and grey shorts are a great outfit to wear for both inside activities and outside games. 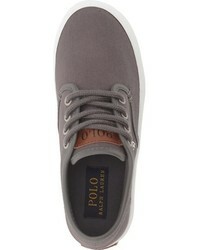 Ralph Lauren boys waylon sneaker are a good choice to finish off this outfit. 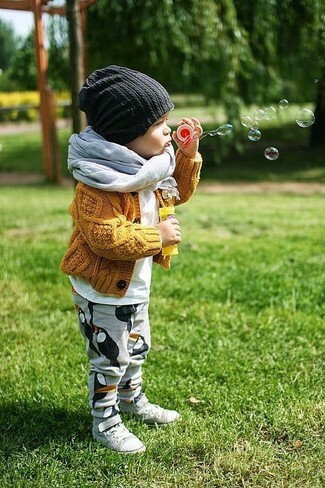 Suggest that your little man pair a mustard cardigan with grey sweatpants for a fun day in the park. Grey sneakers are a wonderful choice to complete this look. Choose a charcoal sweater and navy jeans for your kid for a fun day out at the playground. The footwear choice here is pretty easy: complement this getup with Ralph Lauren boys waylon sneaker from Nordstrom.